Cloud server hosting is the latest methodologies for virtual infrastructure based on the cloud. Software & technology pundits have long been predicting that the end of infrastructure based on IT has come up! This prophecy might be true to a certain extent and the IT Enterprises might have to worry a little about this. But, with the rising in the popularity of server-less computing or cloud server hosting; this conversation has not remain within the domain of what it used to be in good old days. This query is certainly quite valid of why anyone would be wanting to undergo the intricate and troublesome process of building the infrastructure of their computing needs while they have the option of leasing the requisite resources only for the time while they need it? Like other new things – this technology of cloud server hosting has its thick as well as thin too! What it means – is that this model of server-less computing has its advantages as well as disadvantages – in many of the fields such as having great support for some of the applications, average support for some other of the applications and poor support for a few of the technologies. Let us start with the good points. Cloud server hosting is the next stage of offering infrastructure as a kind of service where the operational management and the runtime become the fulcrum of the process of virtualization. This is the reason why the cloud server hosting process is sometimes referred to as the offering of functions disguised as service. It is called so because of the reason that server-less hosting or cloud server hosting allows the providence to the users of technology so that they are able to execute a certain task without having to worry about the virtual machines provisioning server and other such computing resources underlying the process. With this certain core advantages start showing up such as incremented agility as well as flexibility in the scaling of the domain. Not just this but the accuracy in the costing and revenue modeling is also implemented. The distributed denial of service attack – which is one of the most prevalent malicious acts of hacking, also gets eliminated. This is because of these listed reasons that the server-less computing model which is colloquially known as cloud server hosting acts as the flag bearer and vanguard in the process of revolutionizing the development process of deployment and management of the complex software. Hence, by following the model of cloud server hosting – one is able to get a certain kind of positive alteration in the methodology of data model creation and the application support in an industry which is a 100 % service driven. Certain other initiatives which are having great potentialities such as internet of things and DevOps are likely to receive a great posting in the parameters of both the cost saving as well as functionality which is to be implemented through cloud server hosting. However, with such positive reviews and great potential deals as predicted by the subject matter experts – everyone in the industry does not seem to be convinced. 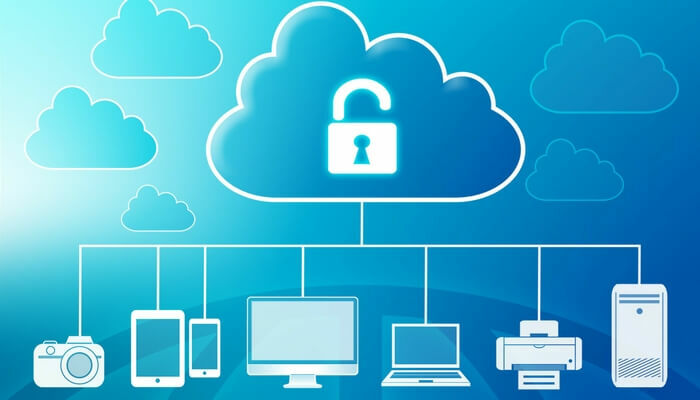 Mr. Matt Asay of the Tech Republic Firm says that it cannot be said yet that all the shortcomings of this cloud server model have been eliminated. He espoused his views as, "Certainly it could be said that the technology of cloud server hosting has made the things easier. Things have become such easy that creating code seems to be an intricate job than that to just host the resource on a cloud server and fully forgetting it! But this leads towards a process which causes incremented resource utilization resulting in the wastage of availability of computing power. Also, the hosted resources come prone to an incremented number of attack vectors which could be exploited by black-hat hackers to insert evil code into the environment of enterprise driven data." Hence, the solution lies not in relinquishing infrastructure as a service model of cloud server hosting but in the way we choose to implement the things!